Just 10 Days Left and Papa’s Got the Bales in Place! Papa’s been busy this week building bale structures. 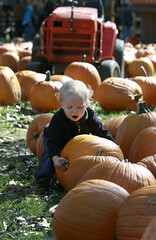 There are more than 10 different play areas built out of bales this year at Papa’s Pumpkin Patch — the most ever! 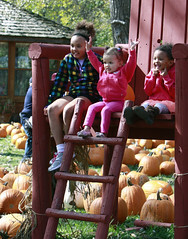 It seemed right to tell you about them when there’s only 10 days left before Papa’s opens for the season on Sept. 10. Can you guess what this structure is? Think playground and think monkeys. Bet you’ve got it figured out! In addition to these, you’ll find gi-normous bale structures around the three Zoomin’ Zip Lines; a pyramid overlooking the corn maze; the “ant hill” as Papa calls it; two different places with actual bale slides built in; Slide Mountain; and a few others you’ll just need to visit to see. 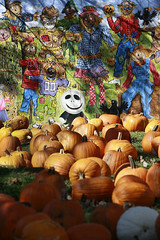 It’s just 10 days until Papa’s Pumpkin Patch opens. 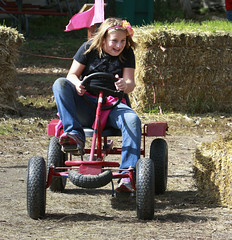 We hope you’ll make plans now to come and check out those bales…along with everything else! Next Post Let’s Go Swingin’!